who use professional programme solutions of IQSites in their business. Training Courses with Great Prospects. With this programme, you will get excellent training and the certification of IQSites software applications used by professionals, regardless of whether your company provides tools and training in business development via the Internet or not. You will learn to create amazing websites that meet the highest modern requirements and promote them through search engines and social networks. New media and creative industries are changing rapidly under the influence of technological progress. In the world of mass media, the professional applications of IQSites have become major tools of online business promotion. At the regular trainings we tell our customers about the current methods of website maintaining and business promotion through search engines and social networks. We develop innovative thinking, discuss successful cases, teach to generate new and interesting methods of advertising. When creating our revolutionary technology, we first thought about the convenience and ease of the user experience with our products. 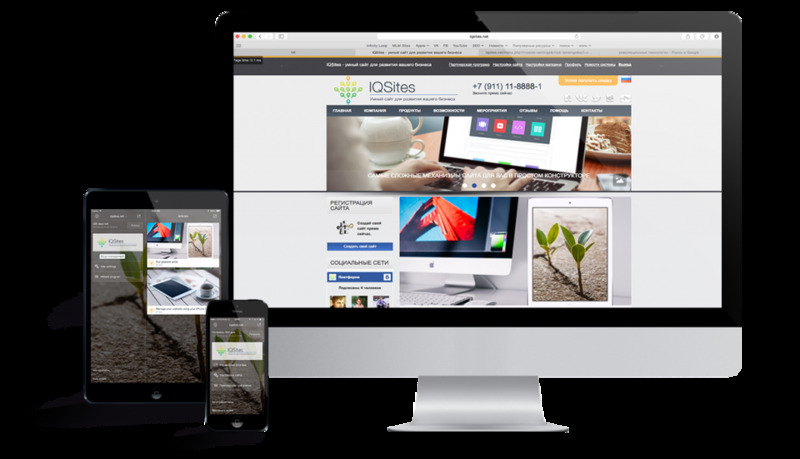 The IQSites company aims at helping all its customers to become real professionals in the field of the Internet. The matter of our great concern is that all the people cooperating with us should have really good results: increased sales, profits and a positive image of their business. Which innovations and trends of the Internet should be used, and which should not. At the training session, it is advisable to have a notebook PC or tablet! The training is interactive, so you can ask your questions and immediately get answers. As most of the activities of the company, this training is delivered on a regular basis. In addition, all the training courses are always available on YouTube. The support service is ready to solve your problems quickly in case of necessity. Fill up the form below and we will contact you for selecting a suitable course for you.